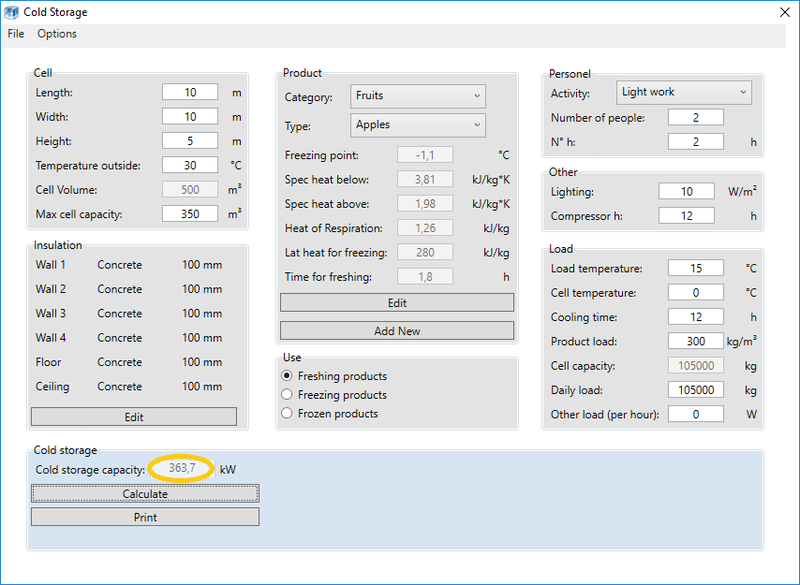 UNILAB’s powerful tool to calculate the thermal capacity of a Cold Room! 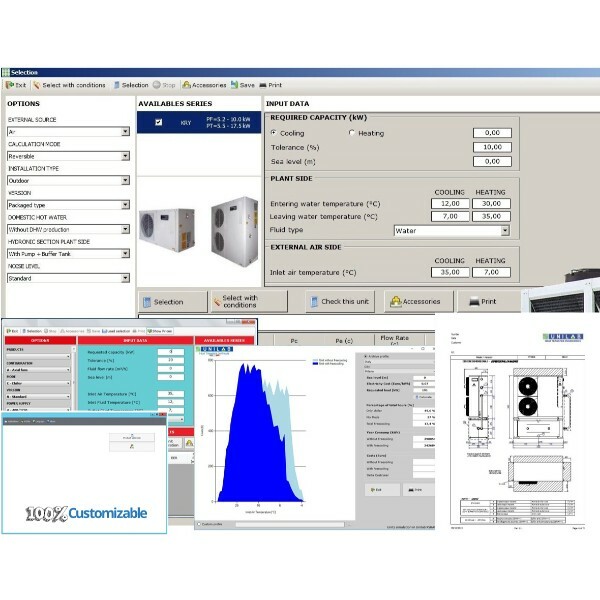 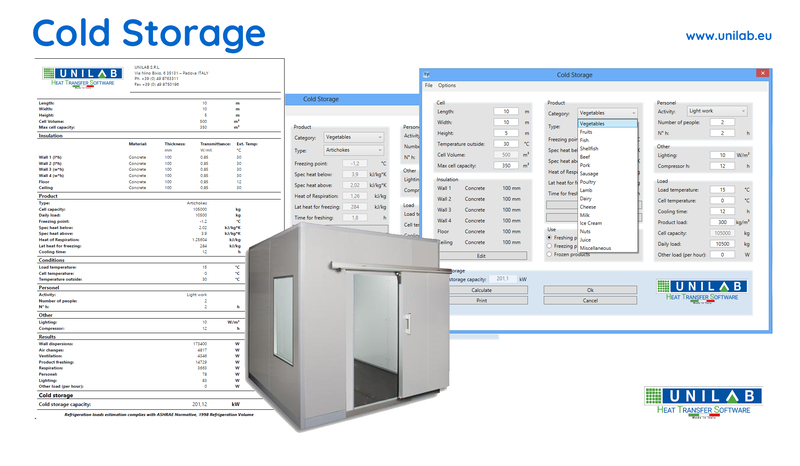 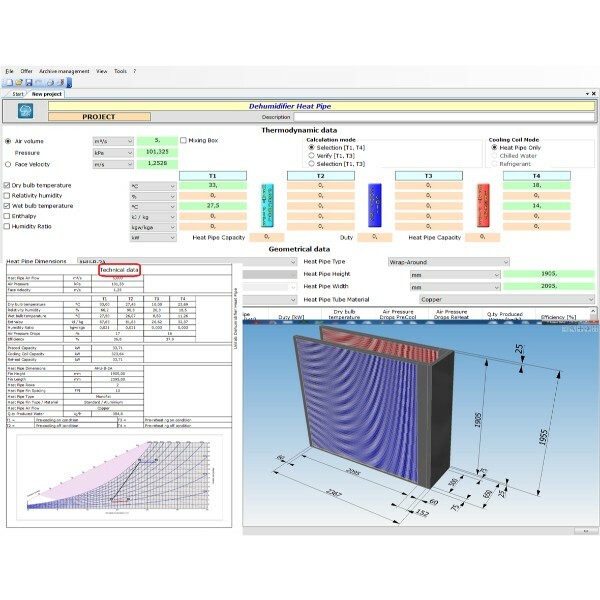 UNILAB COLD STORAGE is the most accurate and user friendly software to calculate the thermal capacity of a Cold Room. 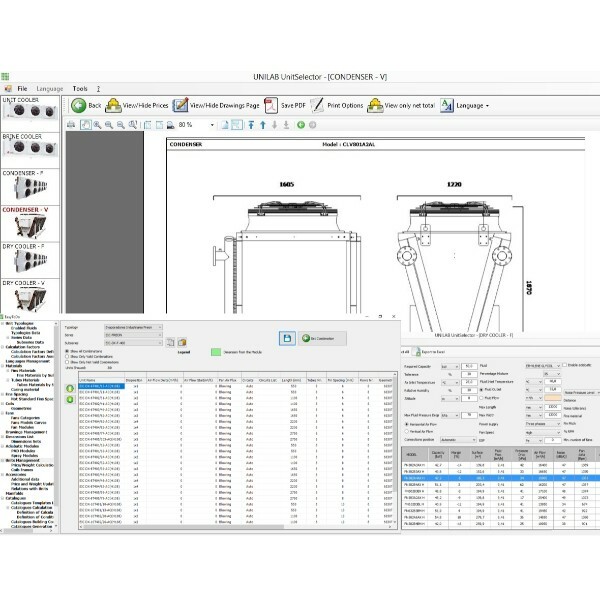 The interface is simple and effective, allowing you to produce a detailed print in a single click! 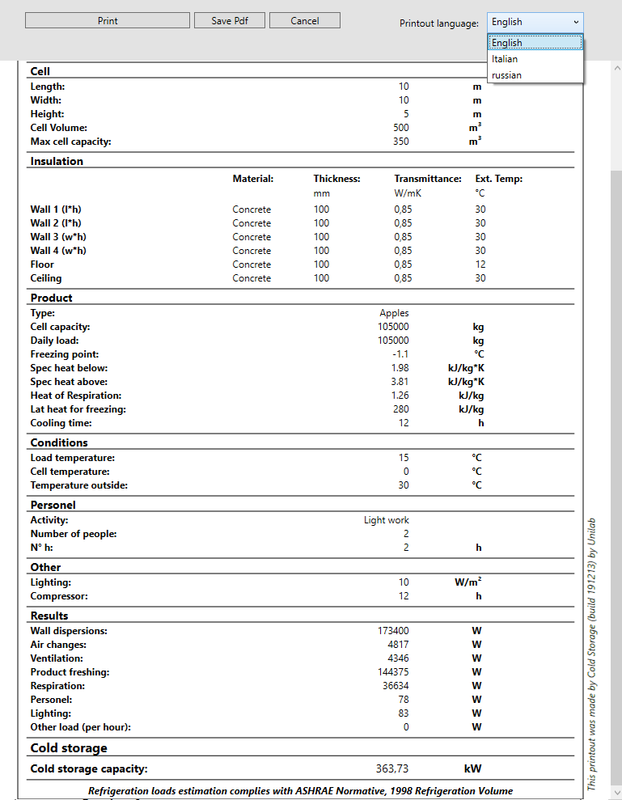 The estimation of the refrigerant loads in the print is in accordance with ASHRAE, 1998 Refrigeration Volume. 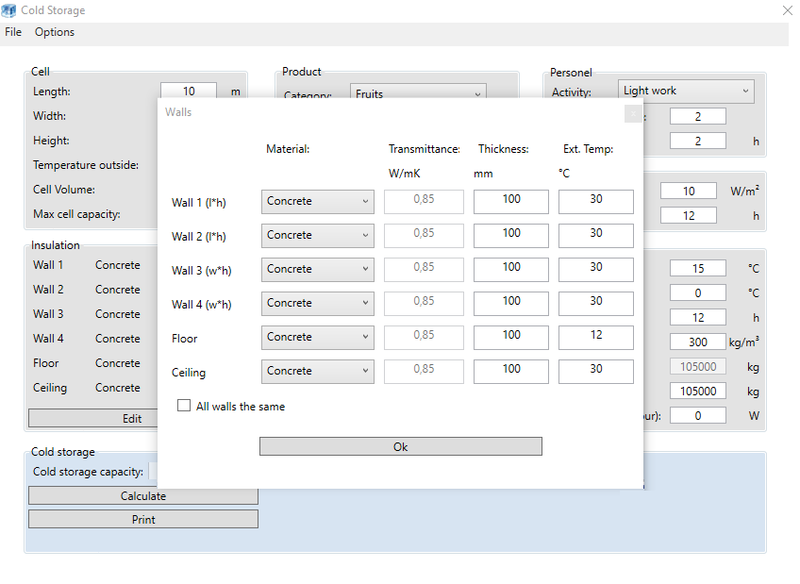 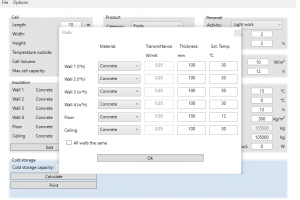 You can start by defining the cell dimensions, and the thickness and external temperature of the walls, floor and ceiling materials (already inserted are concrete, bricks, rock wool, glass resine, polyethilene, polysthyrene, Polyurethane). 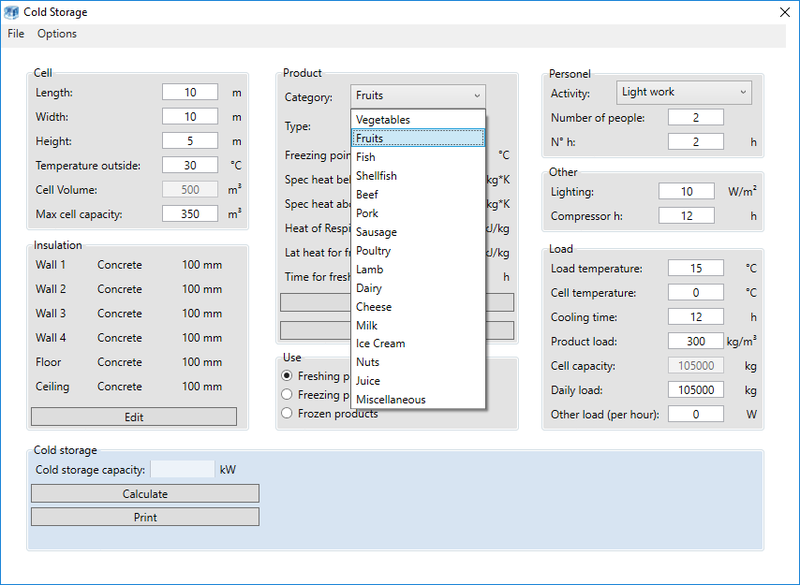 The wide library of products (fruit, fish, ice cream, cheese…) can be enriched by others. 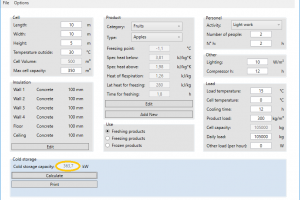 Cold Storage has in fact the possibility to insert new products, specifying some data simply considering freezing point, specific heat below and above, heat of respiration, latent heat for freezing. 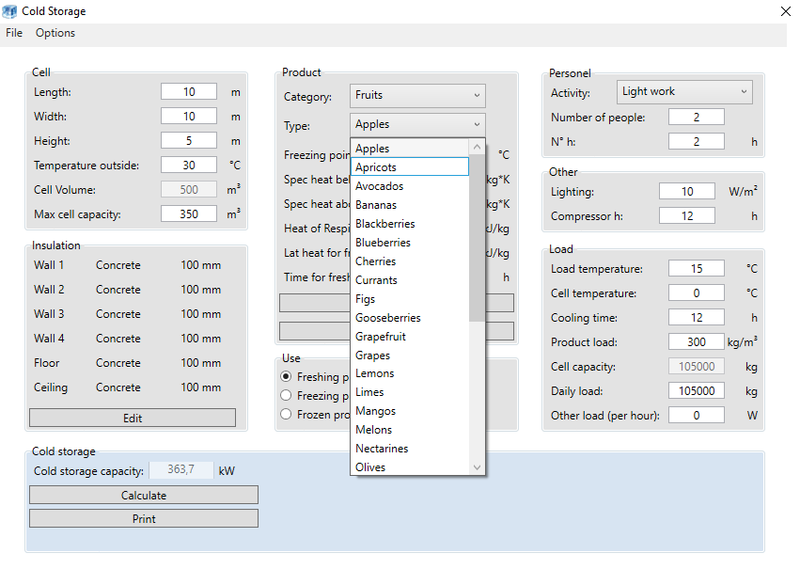 The user can choose if the product requires freshening, freezing or is already frozen. 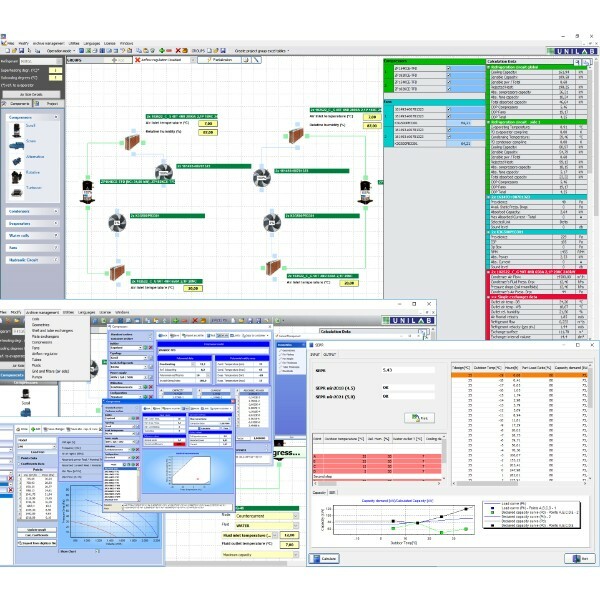 The software considers the presence and amount of people, the amount of time they spend there, the type of activity they carry out, (hard, medium or light work), the lights and the product quantity. 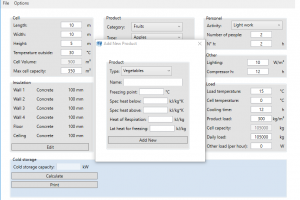 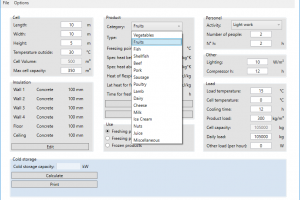 By clicking on “calculate” the software provides an automatic calculation of the product’s time set up and the required capacity. 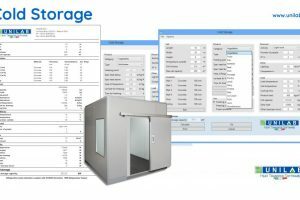 UNILAB COLD STORAGE is Unilab’s powerful tool that allows the calculation of the thermal capacity of a Cold Storage, or Cold Room. 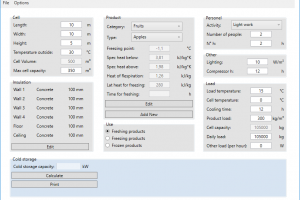 Inserting the constructive characteristics of the storage, the type of food to be stored and the process that is required (cooling or freezing), the program will suggest the capacity to be installed needed to satisfy the thermal load requested and the time required to cool/freeze. 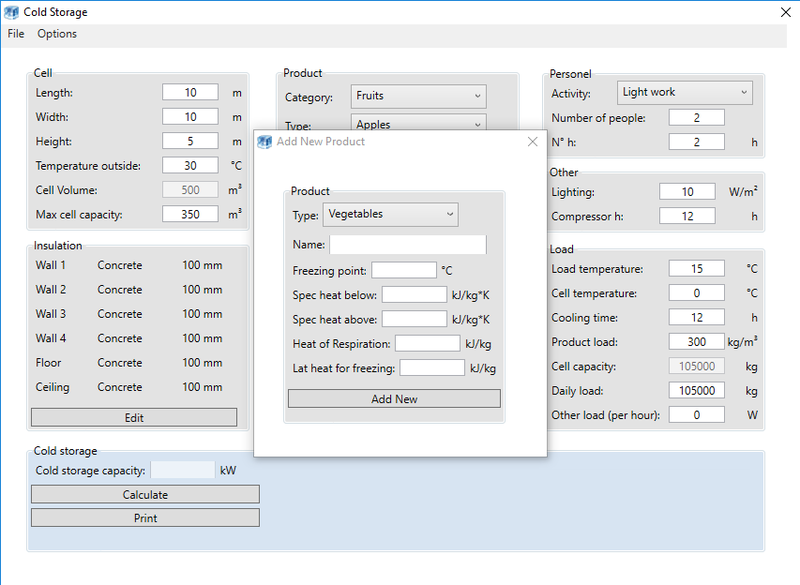 In addition, the software considers the amount of people, the amount of time they spend there, the type of activity they carry out, the lights and the product quantity. 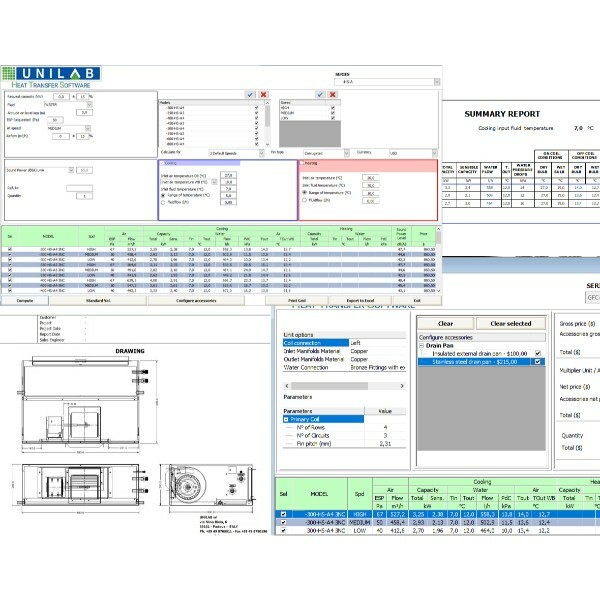 The software has a detailed printout which contains all the inserted information and the outputs. 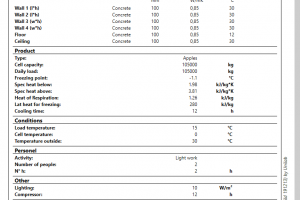 It can be exported to PDF file and the language can be chosen before printing the report. 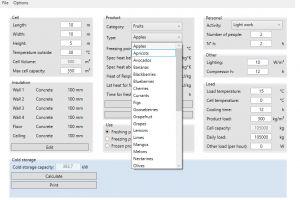 This tool is very useful to cope with new markets: the users are able to work on the software using their own language while the printout can be exported and sent on the client’s language.